This is probably not the right time of the year to write or post about anything related to enjoying the sun as it is peak summer in India. But then who can resist the charm of spending some time in a plant-laden sunroom. Sunrooms need no season or reason as the magic of sunlight and sun-kissed plants are a good enough to indulge or dream about. It does not matter which season you are living through for you can always find moments and benefits of spending time soaking in a bit of the gentle sun. Sunrooms give us the best of both the worlds; warmth, security and comfort of home with views and stories of outside. With weather getting more and more unpredictable, sunrooms give us a chance to witness the seasons, the colors, the changes, from the comfort of your home. I do not have a sunroom but will never give up a chance on having one, at least once in my lifetime. There is something about these rooms of glass that let inside the magical rays of sun, the vistas of green gardens, and connects your world with the outside. Of course, there also needs to be a view worthy of opening up your house with walls of glass. While we drool over the sunrooms and green conservatories, wise men and women had invented them for all practical reasons. People from cold climes and grey weather had to make use of whatever little sunshine came in their lives. Whereas in India, going by the ancient wisdom of Vaastu (which makes a lot of sense from the sunlight perspective) most of the Indian households either face the east or west direction. The main doors, windows and cooking areas are exposed to the rising or setting sun, letting in abundant sunlight that not only disinfects the areas but also brings in the bright positive energy that man benefits from. Not to mention the how much our bodies needs sunlight for the essential Vitamin D.
Sunrooms are not restricted to huge houses that have the luxury of creating an additional structure. Sunrooms can be made anywhere. It is about opening a part of your house to the have the sunlight in. Nowadays, apartment owners are converting a good part of the balconies into sunrooms. Houses now are doing away with the brick and concrete walls and trading in for glass. Windows are increasingly getting bigger and better. But I still fancy the good ol sunroom that is almost a separate structure, yet an extension of the house. Sun rooms have the potential to become ideal places to live, cook, entertain, play, study, paint, work and even sleep. These are peaceful retreats where every little thing feels like celebration of life. The thing that adds life to the sunrooms are plants, plants and more plants. It is symbiotic that sunrooms look lush with plants, keeping it cool and oygeneted and in turn there there is plenty of sunlight for the plants to thrive. While there are many sunroom styles ranging from hi-tech, modern to ornate… simple sunrooms with lots of sunlight and thousands of plants works for me. Here are some of the sunrooms that I came across and have bookmarked them. They not only serve as an inspiration but also keep reminding me to have one of my own someday soon. Enjoy. Its the bright sunlight that makes sunrooms so inviting. Life-giving sunshine filters through the glass and happy leaves casting a dreamy spell. Wood, wicker and plants never fail to warm your mind, body and soul. What an absolute delight to cook, eat and entertain in these sunlit spaces. Though this may not be practical in tropical countries at all times of the day, it still makes morning and evening meal making so endearing. So perfect. White can be too bright for a sunroom that is flooded with sunlight. Tone it down with contrasting colors. For colder climes and grey weather, this color works. Who says sunrooms cant be formal? Nothing can beat the seriousness of this room even when its open to nature. Simplicity never fails. Combine that with plants for an irresistible combination. Jack’s Bar and Grill could not get any better – thanks to sunlight and greenery around. A great place to unwind, chill and entertain. Im caught off guard with use of this color in the sunroom. And that means any color could work. Even if it didn’t, there would be enough sunlight and plants to salvage the situation. Sober, warm, rustic, and neat. With the bamboo blinds down, this can be quiet a place for the afternoon siesta. And a great place to call it a day… hot beverage, book, warm lights, happy plants, earthy accents. It is so perfect. Unkempt sunrooms are great too – doubling up as gardening corner, potting stations, studios, office and more. How can one not get inspired in places like these? 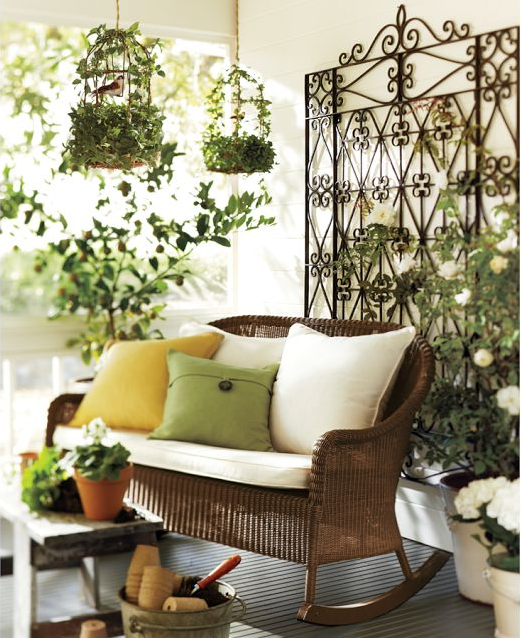 The combination of wood, iron, wicker works great for any kind of greenery in the sunrooms. Get inspired. Make hay while the sun shines now better translates to make power when the sun shines. What better way than having your sun-room harvest solar energy. An amazing green idea that should be a must-do for all sunrooms. Sunroom is really about the plants, eh? I believe so. Modern sunrooms with statement furniture are nice to0. This may not be our regular sun room but a living area that invites the outdoors within. You are what you eat. And in a place like this, while you feed your body, you actually nourish your soul. This simple kitchen is compact yet so elegant and inviting. I really need my breakfast, lunch, dinner and everything in between, here. Unfinished business? No problem. Throw in furniture, plants and start living. It all makes perfect sense. Solid wood calls for solid attention. Cant miss that thick timber and the sense of security is gives in a glass room. I cant tell you how much I love this sunroom which has nothing and everything in it. A view like this calls for no-fuss decor and furniture. Effortlessly simple. Nothing beats a real big tree growing up out of the sunroom. Can we have a few more, please? If not a sunroom, extend any area of your house into a sunlit path. And that serves as your haven for your plants. Even better, grow your own food there. Whats a sunroom without natural flora around? The very purpose of a sunroom is to bring the outdoors in. I love it that you have wandered till here and are still reading… which means you are probably as crazy as I am (or more) about these sunlit spaces. So tell me what is your style? How do you imagine your sunroom to look like? Do share so that I can hopelessly fall in love with more sunrooms, once again. I would love a sun room in my house! It would be perfect for those days when it’s just a little too cold to actually be outside. I really like the look of the formal sunroom. We don’t have a lot of space so maybe it would be better to convert our dining room into a sunroom! My only question is how do you keep those windows clean all the time? Thanks for the inspiration!